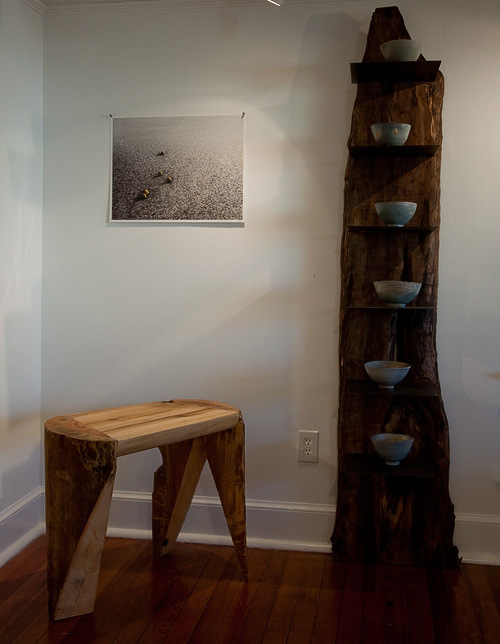 Last week our exhibit opened at Zigzag Gallery in The Plains, VA. 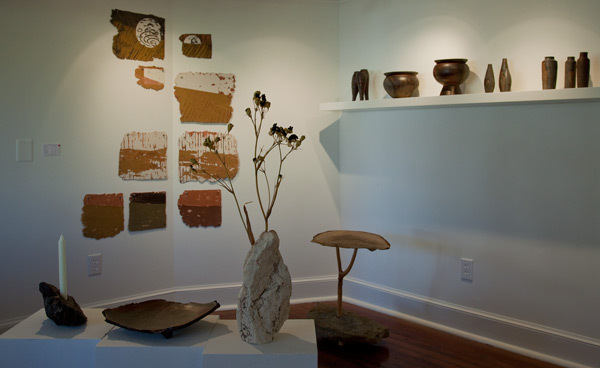 The gallery is in an old farm house in a small town. 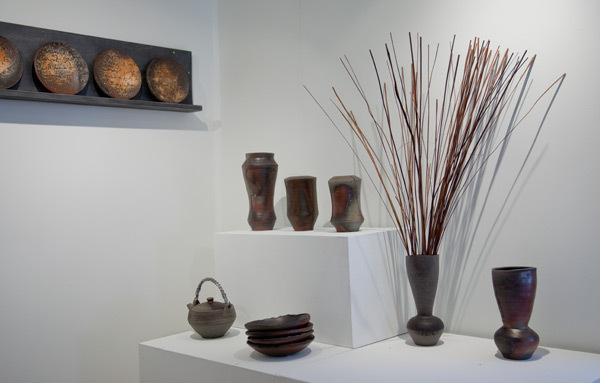 The ceilings are low, the walls are white, so the space promotes an intimate look at the pots and wood constructions. We're going to close down the exhibit with an artist's talk on Sunday, December 6 at 1:00 pm. Zigzag is open 11-6, Wednesday through Sunday. 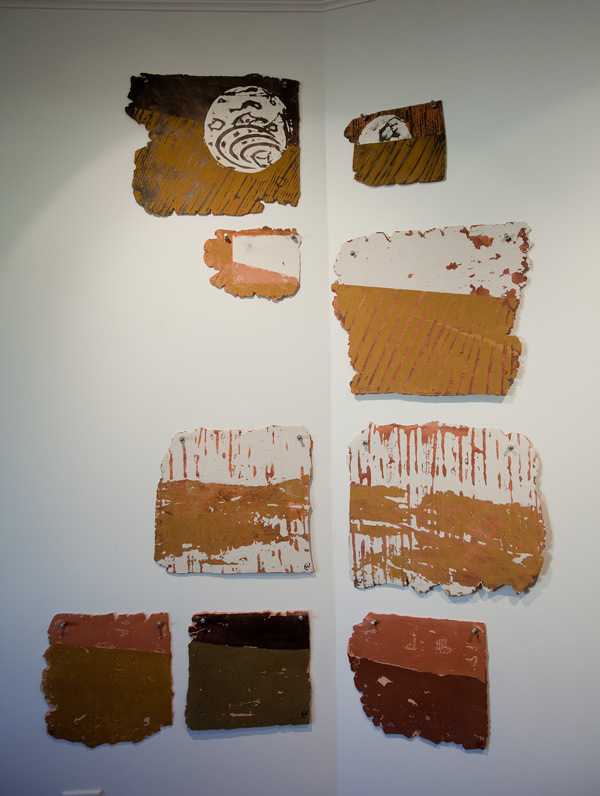 The clay pages are an exploration of simple prints using raw pigments and clays on low-fired clay rolled out thin enough to give the impression that it is paper. The rest of the ceramics are from our last woodfiring. 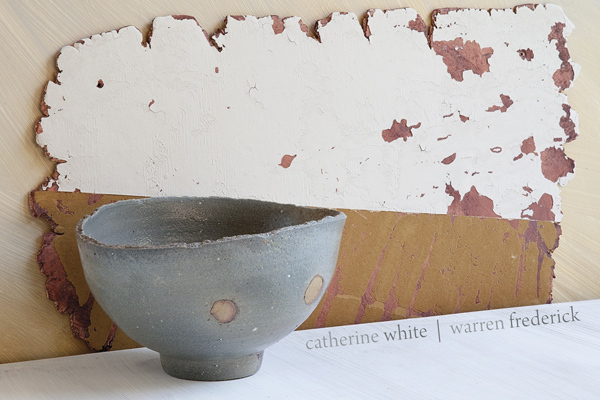 The gray bowls and platters of Warren's are made from white Stancills clay.